We make our way downriver in a rustic houseboat, built by the artists over two years, loosely based on designs from shantyboats in the 1940s, from largely recycled and reclaimed materials. People tell us that traveling on the river in an authentic shantyboat and taking the time to listen to people’s stories makes this project unique. This participatory art project inspires deep wonder and connects meaningfully with people’s personal histories. Who are we? Meet the artists and crew behind the project. If you want to help, there are lots of ways you can support the project. The project attempts to preserve the currently endangered history of people who have long lived on and adjacent to the river with a multi-layered, project that includes a touring participatory art installation, a research archive, short and feature documentaries, and a series of books. We are entering our sixth year of the project. The shantyboat has traveled over 1500 river miles and 26,000 miles by land. We’ve conducted over 125 oral history interviews spanning hundreds hours of video and audio, exhibited nationwide, and talked to thousands of people about the river. Secret History asks critical questions about art, history, place, and social change. How do rivers connect us? A goal of the project is to create a powerful tool for learning about the river, people’s relationship to it, and basic river ecology. We ask every interviewee about their relationship to and feelings about the river. How can art help? This interdisciplinary social practice project focused on listening, challenges audiences perceptions of art and sparks conversations about art-making, commodification, and art in everyday life. Secret History reflects my values of excellence in art: engagement, participation, discovery, and meaningfulness. Are rivers part of the public commons? A goal of the project is to explore the importance of rivers as a public commons, question who has access to the river, and to challenge dominant cultural assumptions about the role in society of people living at the fringe. What do we mean by history? Firmly rooted in a people’s history or bottom-up history tradition, the project forms a complementary and contradictory collage of personal narrative creating a multi-perspective and multi-path take on history. Whose stories get told? The project makes a particular effort to explore untold personal histories of those in river communities who are not represented in the dominant historical narrative, including native people, people of color, women, working-class and impoverished people. How can we make change? The project is primarily about listening to what river people know about their lives and their communities. In listening and sharing, it offers possible solutions to shared challenges to those in other river communities, and encourages audiences to take river history and draw parallels in addressing challenges in their own time and place. The project is a contemporary art piece that recalls Suzanne Lacy’s dialogical works, the community-based work of Helen and Newton Harrison, and the contemporary water-based practice of Mary Mattingly, Eve Mosher, and others. In the humanities, it recalls the work of social documentarians, Walker Evans, Alan Lomax, and Howard Zinn. In 2012, California artist Wes Modes began building the Secret History shantyboat. Inspired by historical accounts of shantyboaters on the Ohio and Mississippi rivers, he lovingly recreated a traditional wooden-hulled barge-bottom houseboat with friends over two years out of largely rustic reclaimed materials. This summer our fieldwork takes us to the mighty Ohio River. Check out how you can help support the project. In the summers of 2014 and 2015, Wes embarked on epic journeys to discover, present, and connect the personal narratives of river people from the deck of the shantyboat on the Mississippi River. The project combines his experience as a sculptor and digital artist, his enduring interest in people’s history, personal narrative, and river life, and his thirst for adventure. Meeting people who work and live on the river, Wes collected a digital archive of personal histories — the lost stories of river people, river communities, and the river itself, including the personal chronicle of the artist’s adventure. Wes conducted oral-history interviews with Upper Mississippi artists, boathouse residents, scientists, researchers, historians, business owners, and adventurers. On the journey, he used the project website and social media to share stories, photographs, and video to connect river people with those far from the river. 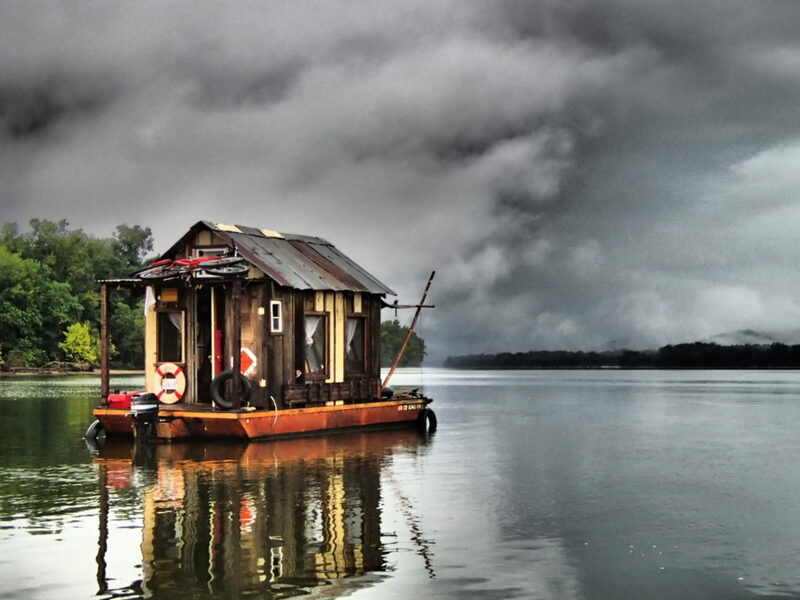 In summer 2016 in conjunction with exhibitions in the region, Wes re-launched the shantyboat on the Tennessee River. A summer-long research voyage started in Knoxville, Tennessee and traveled 658 river miles through northern Alabama and Mississippi, ending in Paducah, Kentucky where the Tennessee meets the Ohio River. The project exhibited at a half dozen locations. In 2017, we boated the length of California’s Sacramento River from the mountains to the delta, running through the Central Valley with interviews and exhibitions along the way. 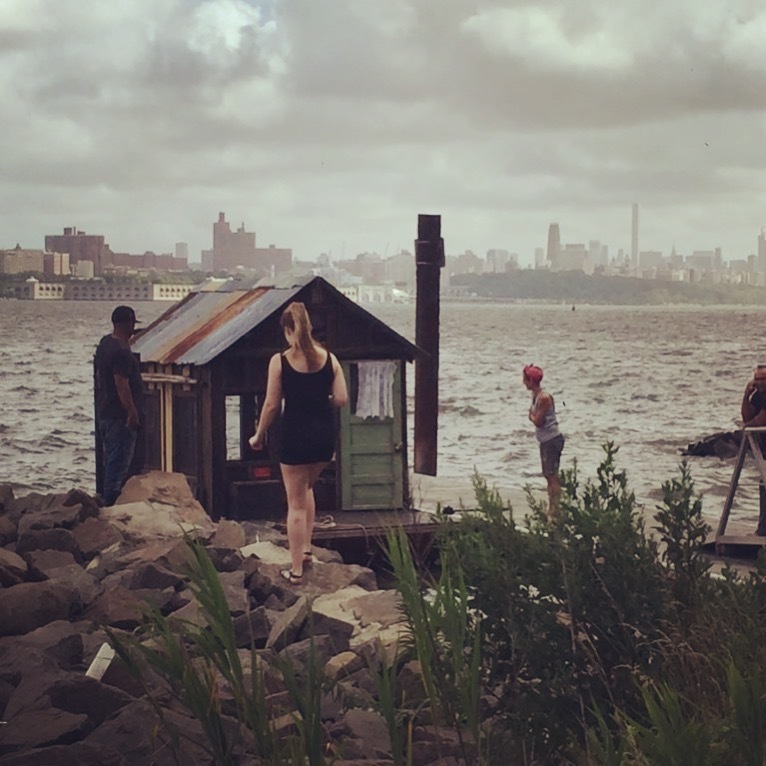 Summer 2018’s fieldwork took us to New York’s Hudson River, from the lakes and canals of the historic Upper Hudson, through the wild estuary of the lower river, finally to the industrial wastelands of the urban Harlem and East Rivers concluding with exhibitions in New York City. The shantyboat serves as the primary artistic focus of the project, serving not only as the expedition vessel but the project library and archive. Visitors to the Secret History exhibition can explore the archives, see excerpts of interviews, explore the physical library of river-related books and materials, explore the boat, and talk with the artist. Secret History continues to show at art and history institutions nationwide. In the winter months, Wes returns home to the mountains of coastal California to teach and to work on the Secret History archive and book projects. He is currently working on the first volume of a series of books about the project. In summer of 2019, we will be doing fieldwork on the mighty Ohio River. We’ll be starting in Pittsburgh, traveling through Steubenville, Wheeling, Parkersburg, Huntington, Ashland, Cincinnati, Louisville, Owensboro, Evansville, and more than a hundred river communities in between. Follow our regular updates via email, RSS, Twitter, and Instagram. Wes Modes is a Santa Cruz artist focused on social practice, sculpture, performance and new media work. He holds a Masters in Fine Arts from the Digital Art and New Media program at the University of California Santa Cruz. His sculpture, photography, and new media works have appeared in group and solo shows since 1996. His project A Secret History of American River People continues to exhibit nationally since 2014. 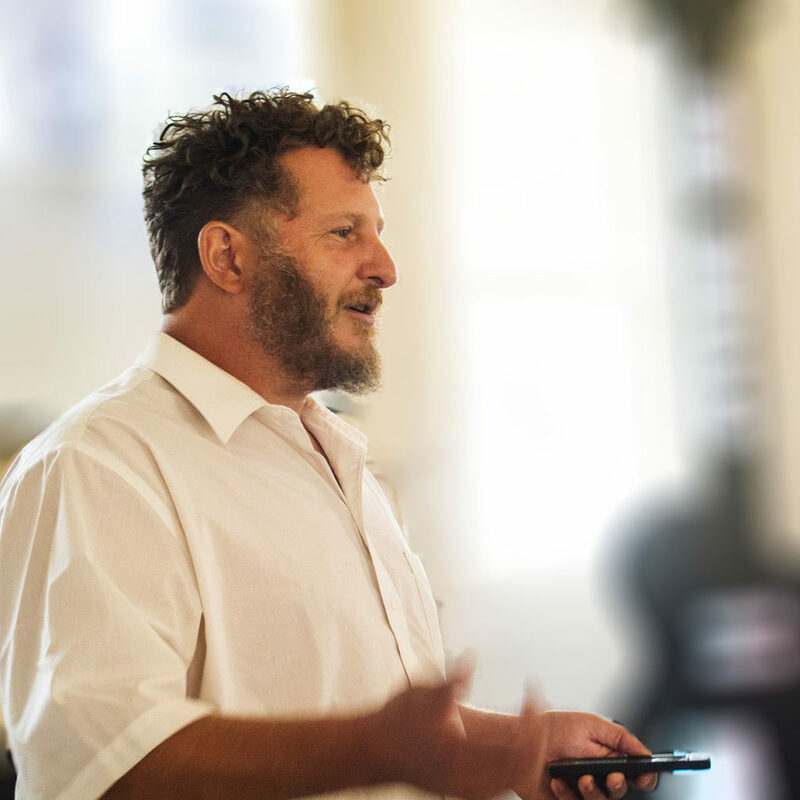 His performance and social practice work since the mid-1990 has made headlines internationally and has been chronicled in journals. His comic work has been published in several noted illustrated histories. Wes is a lecturer at the University of California Santa Cruz and California State University Monterey Bay since 2015. He served as the summer curator and exhibition catalyst at the Santa Cruz Museum of Art & History in 2016. He is deeply involved with community life, collectively organizing and serving on commissions, review boards, and nonprofit boards. He served on the Creative Community Committee of the Santa Cruz Museum of Art & History. He co-founded Free Skool Santa Cruz, a free educational project, Guerilla Drive-In, a free outdoor film screening project, and SubRosa Community Space, an anarchist and radical bookstore and coffee shop, and was involved in these for over a decade. He produced a radio show focused on personal narrative for six years on Public Radio KUSP. Wes worked in the tech industry for 25 years as a software engineer, systems administrator, and systems architect. He is also a writer, performer, adventurer and community organizer. A Secret History of American River People is a fiscally sponsored project of Intersection for the Arts, San Francisco’s oldest alternative arts space, presenting groundbreaking works in the literary, performing, visual and interdisciplinary arts. www.theintersection.org. Special thanks to those who made the project possible, particularly our friends and supporters who gave their time, energy and money to make this happen, those who generously shared their stories for the archive, and our sponsors and granting organizations. See a more complete peek at who makes this project possible: Our acknowledgments.